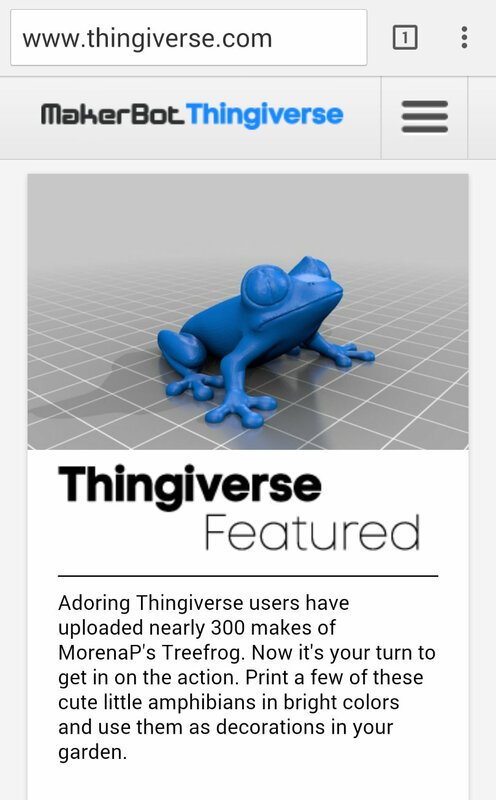 Thingiverse is a Makerbot website, where people from all the world share their creations and progresses regarding 3D printing. Here you can find my printable creations. Some of them are tokens for RobotGrrl, to promote her Indigogo campain for Robobrrd. I also made some useful models for everyday use, and some leisure one as the Canadian Animal chess set for Children, that you can tweak in Tinkercad. My most appreciated model is the Treefrog. It’s design allow people to test their materials technical issues and the calibration of their printer, thanks to the particular angled features and overhangs, and the end result is a cute design piece that can either be decorative in their home, or a nice giveaway to family and friends, so they can appreciate 3D printing even if they’re not Industrial designer, engineers or electronics experts. You can purchase Treefrog’s 3d prints from my Etsy store! Or even print a fine polished version from Pinshape! Otherwise, Please, note that its license does not allow commercial use or derivatives. 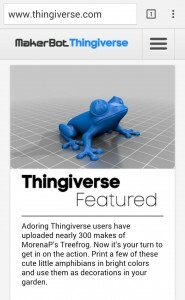 When posting a photo or video of it, add the attribution Treefrog by MorenaP, with link to Morena’s Thingiverse page . You can contact me for more info.